In recent years the educational community has increasingly embraced digital technologies for the purposes ofdeveloping alternative learning environments, providing diagnostic feedback, and fostering the development of socalled21st-century skills. 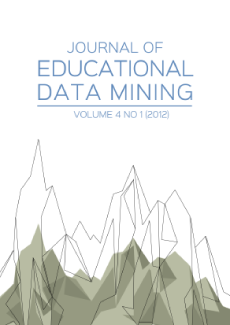 This special issue is dedicated to bridging recent work from the disciplines of educationaland psychological assessment and educational data mining (EDM) via the assessment design and implementationframework of evidence-centered design (ECD). It consists of a series of five papers: one conceptual paper on ECD,three applied case studies that use ECD and EDM tools, and one simulation study that relies on ECD for its designand EDM for its implementation. In this introduction, we discuss the underlying rationales for the special issue inmore detail, provide a short introduction to ECD, and describe the focus of the five selected papers.